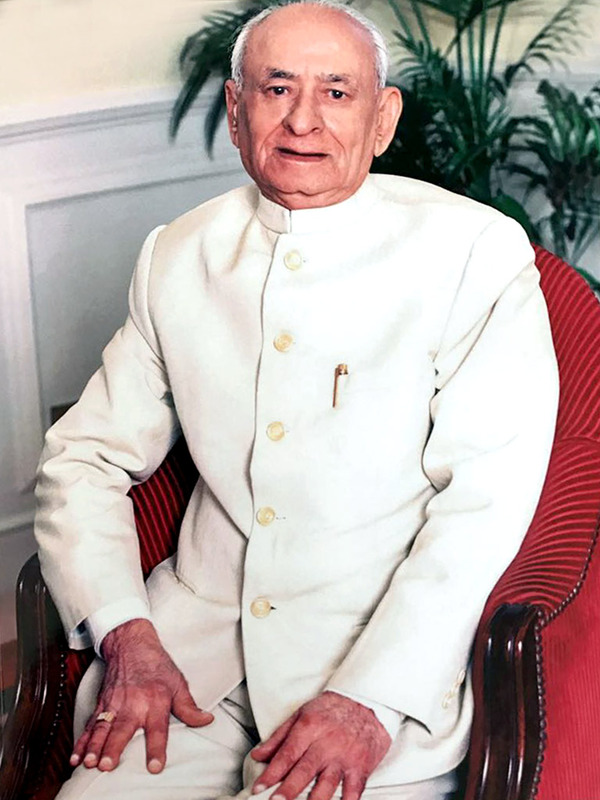 My loving father, Devshi Ramji Jatania, was known to all of us as Bapuji. A man who cannot be praised enough for he was one of a kind. Bapuji worshipped and was a great believer in our Lord Shrinathji. He was also a frequent visitor to the Shrinahji Nathdwara Temple, a tradition which all of his children still follow. Bapuji was a man of great humility and grace. He was filled with a great sense of discipline, strong principles and values and self-belief. My father lived a simple life and did not impose his expectations onto others. Punctuality was very important to him and everything was executed on a timely basis and with precision. He lived a very humble and an honest life with lots of fun and zest. Unlike my mother, he was not very forgiving but valued fairness in everything. He was a very affable, humorous, friendly and graceful man who lived his life to the fullest and enjoyed every moment with joy and happiness. Bapuji was very much a family man and most of his time was spent with his wife, children and grand-children. He created a strong bond between the family and had a special relationship with each member of the family, especially all his grandchildren. In his last few years he built a strong bond with his grandsons who spent special time chatting to him whilst massaging his legs. He enjoyed these moments very much and felt gratified. We all have special memories of him and every member of the family had the utmost respect for him. Bapuji was our true patriarch. We are fortunate that our Lord Shrinathji blessed him with a long life, with his family close to him at all times. We all love him very much and his departure has left a void in our lives but his spirit lives on. We miss him dearly always. 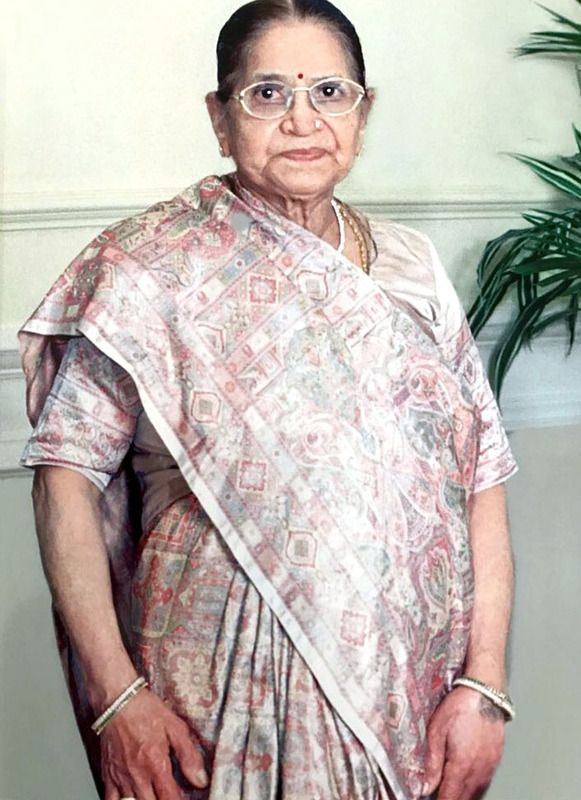 My mother, Gavriben Devshi Jatania, was known to everyone as Ba. Ba was a woman of great substance and character. Her grace, generosity and determination to perform good deeds inspired all of her children. She was most caring and welcoming to all those she met in her life. Ba was a devotee of Pushti Marg and a strict follower of Shree Vallabhacharya, a saint and a great philosopher, and his grandson Shree Gokulnathji. She whole-heartedly worshipped and held her faith in our Lord Shrinathji. The last forty years of her life were spent devoted to the Jai Jai Shree Gokulesh religion, which was created by Shree Gokulnathji. Ba followed it with strict discipline in every aspect of her life. She visited Mathura every year for the Ochav festival of prayers, this was the place where Shrinathji emerged from the Mount Govardhan. With equal importance she also visited Nathdwara for prayers to our Lord Shrinathji . She instilled, in all of her children, the guiding principles of her faith and encouraged them to develop their own devotion. We are blessed to have learnt so many invaluable lessons from Ba. My mother was very fortunate to have lived with all of her children and grandchildren, who all shared a special bond with her. Ba was a very supporting wife to my father. What set her apart from everyone else was her intense care, optimism, humility, respect of others and her zest for life and religion. She was very enlightening, uncompromising in her beliefs, forgiving and full of endurance. A loving mother, who we miss very much since her departure from this world.